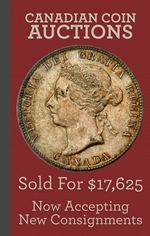 Description: This is the highest denomination issued by The Province of Canada that should still be considered collectible. Approximately 12 examples are known to exist. Of course other survivors will be found as time passes. Queen Victoria is pictured on the left hand side of each note. Prices start at about $5,000 and go up from there based on condition. 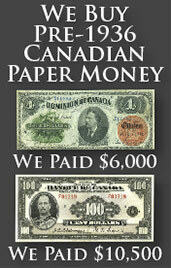 We buy all of these 1866 five dollar bank notes from The Province of Canada. Values are based purely on condition and the issuing location. If you would like our offer, then please send us pictures of your bank note. We will grade the paper money and respond back quickly with our buy and sell price. You might be surprised at how much money some notes from The Province of Canada can be worth.